The United States gave Turkey a deadline until last Wednesday, Turkish President Tayyip Erdogan said on Sunday, to release an American pastor being tried by a Turkish court. [post_ads]The case of Andrew Brunson, an evangelical Christian, is one of a series of disputes that lies at the heart of deteriorating ties between the two NATO allies. Speaking to supporters in the Black Sea coastal city of Trabzon, Erdogan revealed details of negotiations held last week between the two countries, saying Washington had threatened sanctions if Turkey refused to release the pastor. 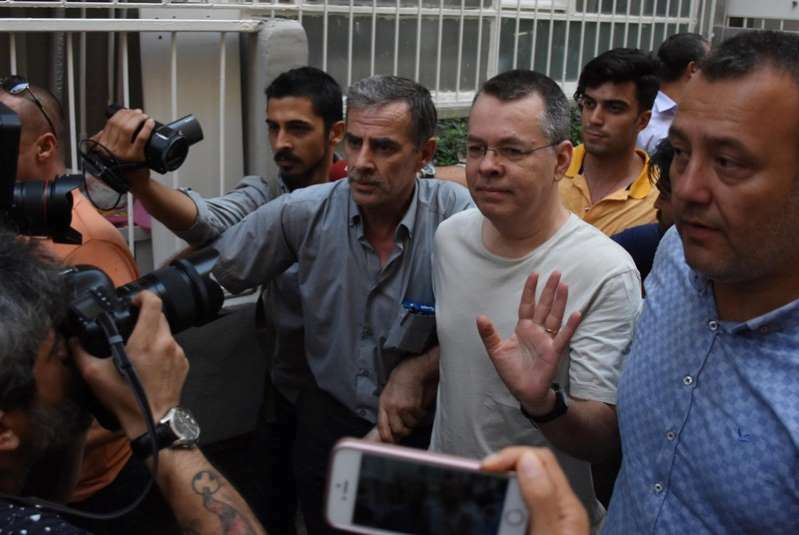 A Turkish court has transferred Brunson to house arrest after almost 20 months in jail. Frustrated with his continuing detention, Washington sanctioned two Turkish ministers and then doubled tariffs on Turkish steel and aluminum imports.